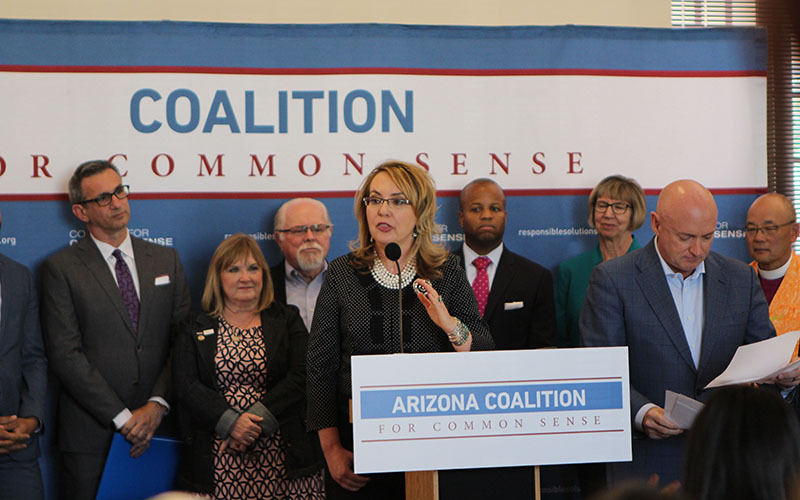 PHOENIX – Former Arizona Congresswoman Gabrielle Giffords, who became a gun-control advocate after a gunman shot her in the head while opening fire at a constituent rally six years ago, on Thursday announced an Arizona coalition to promote gun safety and prevent violence. 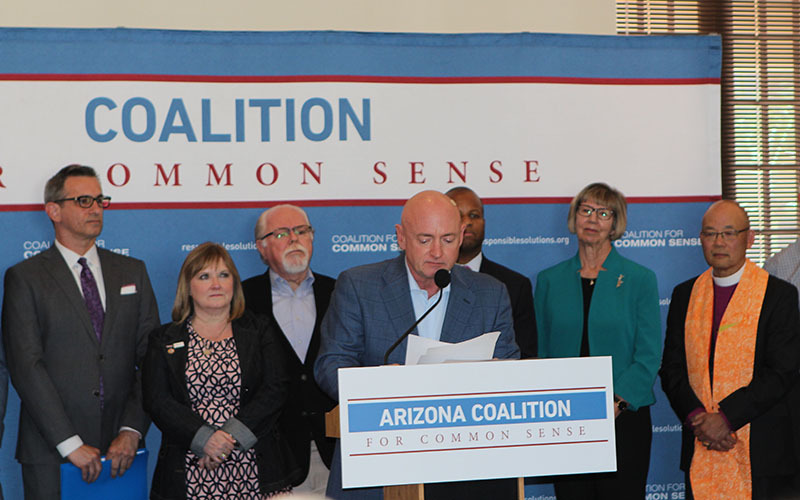 Giffords and her husband, Mark Kelly, said they formed Arizona Coalition for Common Sense to focus on closing legal loopholes that allowed people who shouldn’t have access to guns to buy and own firearms. Charles Heller, media coordinator for the Arizona Citizens Defense League, which advocates for people’s constitutional right to carry guns, said legal loopholes in the state’s gun laws do not exist. The members of the Giffords-Kelly coalition include gun owners, veterans, law enforcement officials, educators and business leaders who are dedicated to keeping guns out of the hands of the wrong people, according to a news release. 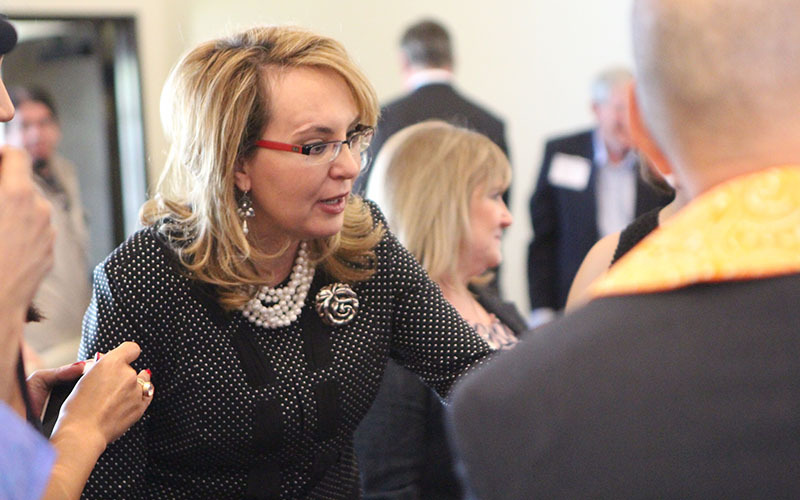 Giffords was seriously wounded at a constituent meeting in Tucson when Jared Lee Loughner started firing into the crowd. Six people died and 12 others were wounded. Loughner is serving consecutive life sentences. Giffords and Kelly own guns, he said, and acknowledge guns are part of Western culture. But, he said, the prevalence of guns in Arizona emphasizes the need for responsible gun ownership and legal reforms. “That is exactly why we need our leaders to do everything they can to keep guns out of the hands of dangerous people who want to do our families and communities harm,” Kelly said. Kelly said Arizona had more than 3,000 firearms-related deaths last year, saying that is 40 percent higher than the national average. Domestic violence often is fueled by gun use, he said. Heller said gun laws in Arizona already protect residents. Heller said restrictions on buying guns in the state would only make it more difficult for law-abiding people.